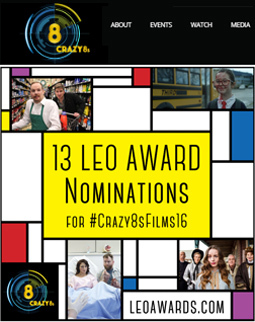 #CRAZY8SFILMS16 NOMINATED FOR 13 LEO AWARDS! 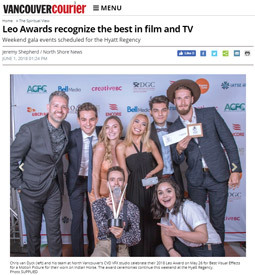 New Image College Graduates Land 2018 Leo Award Nominations! 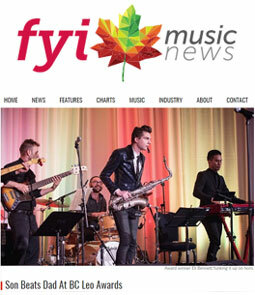 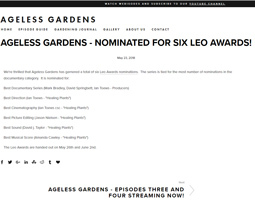 AGELESS GARDENS - NOMINATED FOR SIX LEO AWARDS! 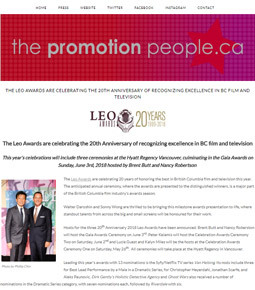 THE SCGC WOULD LIKE TO CONGRATULATE OUR MEMBERS ON THEIR LEO AWARD NOMINATIONS! 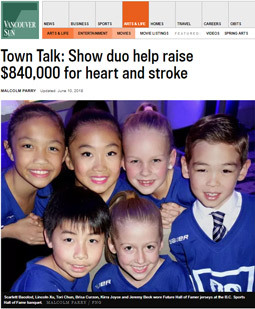 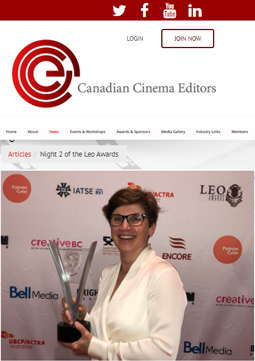 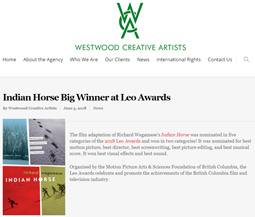 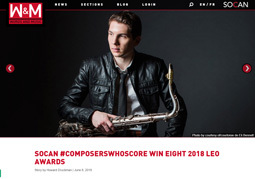 Congratulations to Lisa Robison, CCE for her 2nd Leo win this week and to Allan Lee, CCE for his win. 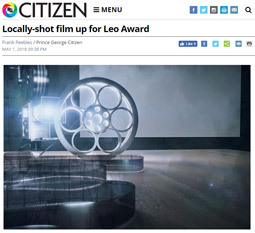 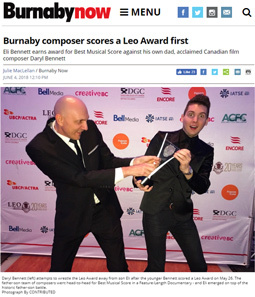 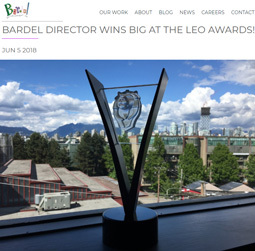 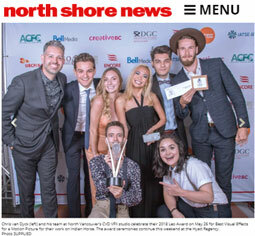 Bardel Director Wins Big at the Leo Awards! 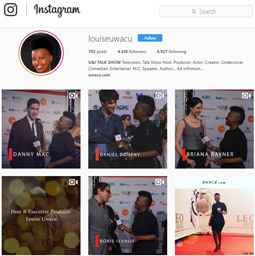 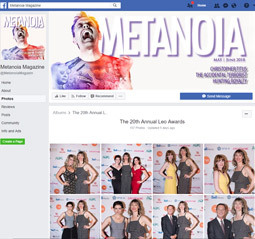 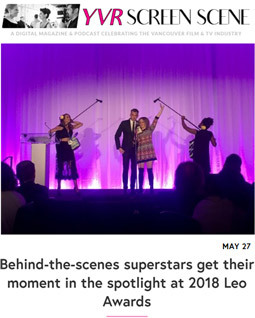 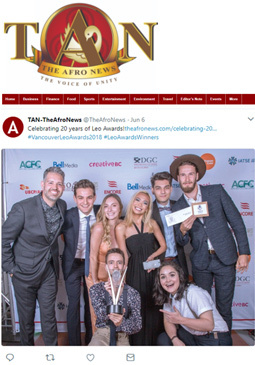 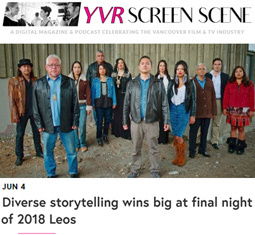 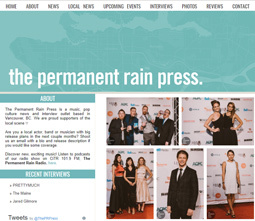 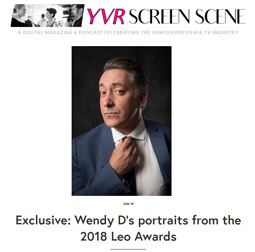 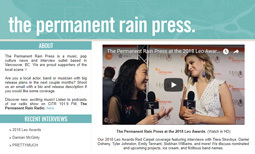 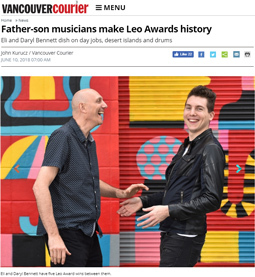 The Permanent Rain Press at the 2018 Leo Awards. 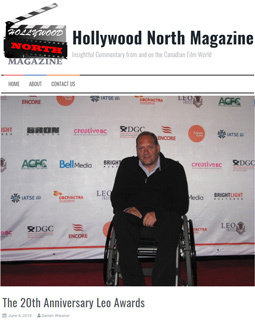 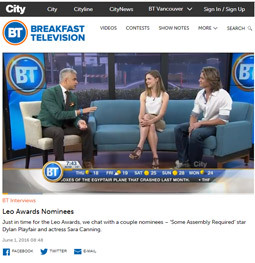 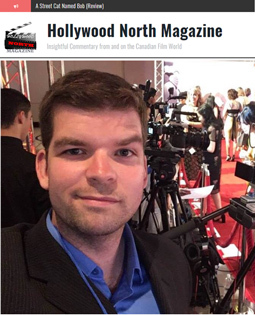 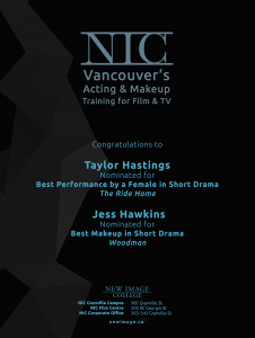 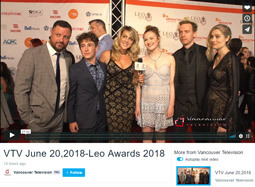 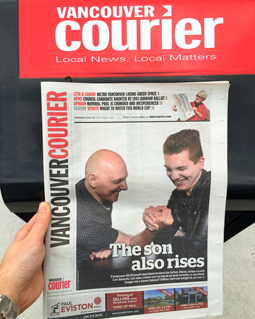 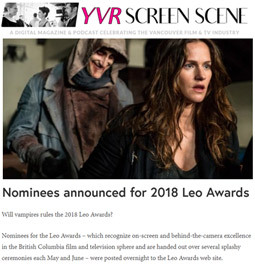 Just in time for the Leo Awards, we chat with a couple nominees – ‘Some Assembly Required’ star Dylan Playfair and actress Sara Canning. 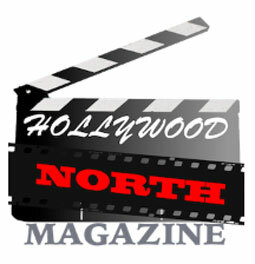 One on One with Nancy Robertson. 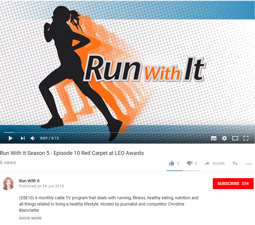 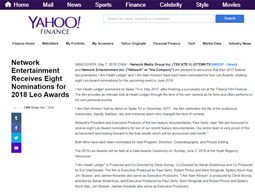 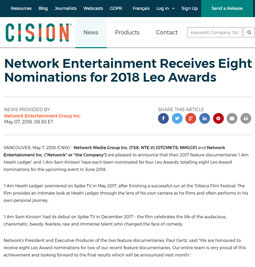 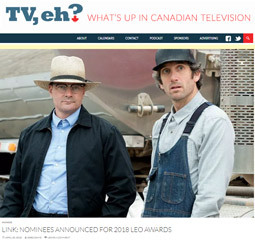 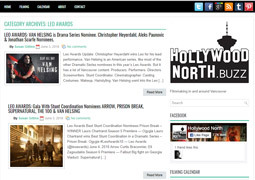 Network Entertainment Receives Eight Nominations for 2018 Leo Awards. 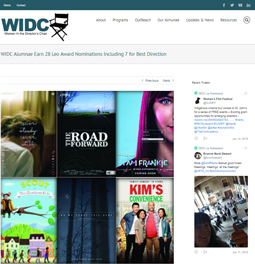 V.I.A.’s B.C. 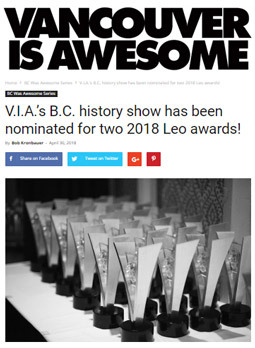 history show has been nominated for two 2018 Leo awards! 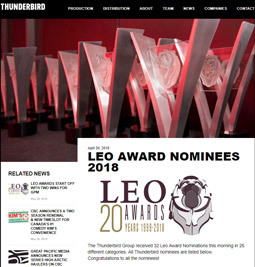 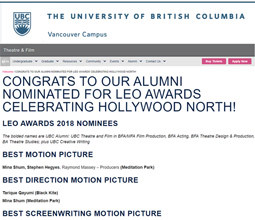 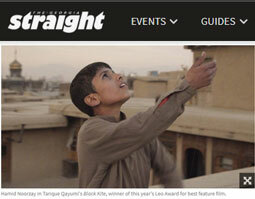 Nominees announced for 2018 Leo Awards. 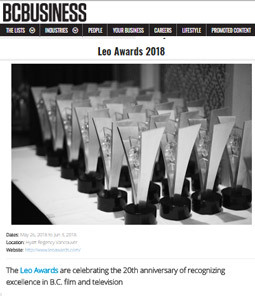 Celebrating 20 years of Leo Awards!